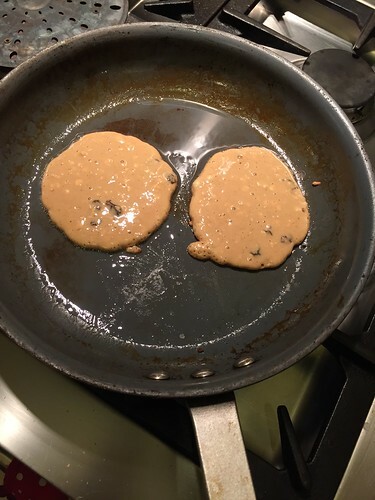 Oat pancakes, literally the first thoughts that entered my head when I woke up the other morning. Honestly. For those that question my love of food? Yes, it occupies my every waking moment! 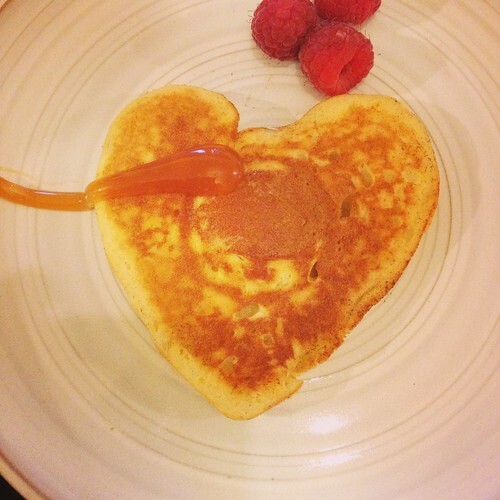 I have many recipes on my blog for pancakes- from the French crepe to the american style fluffy pile of lightness. 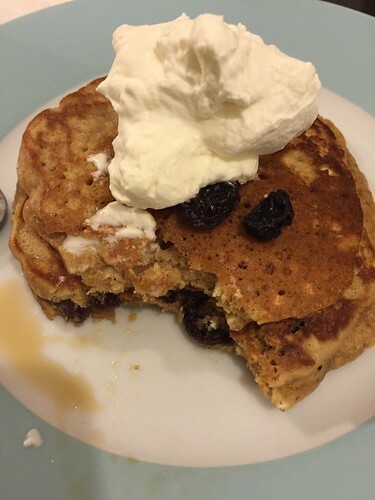 But for these I wanted to achieve a “reasonably” healthy alternative to the american pancake. 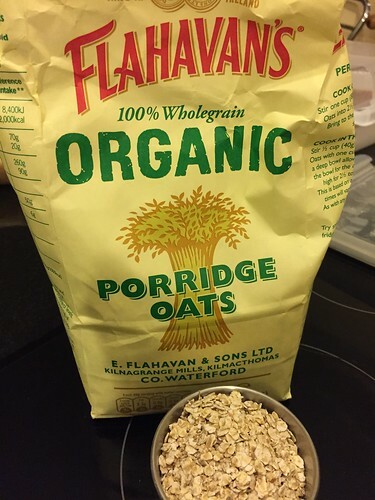 And although NOT sponsored by Flahavan’s Organic Porridge oats, I feel I should be- we go through kilos of it a year, it is both a staple for breakfast and in my baking. As promised the grand testing of pancakes has begun. And today’s recipe of choice is Spiced Oatmeal. Honestly, getting up for breakfast is always a struggle. But these are full of goodness and might just get the masses out of bed. We have porridge every morning. Have done for as long as I can remember. And this slightly different take on a healthy breakfast might appeal for the morning of Pancake Tuesday. The method is so simple, as it is with most pancakes- mix the dry ingredients together, add the wet ingredients. 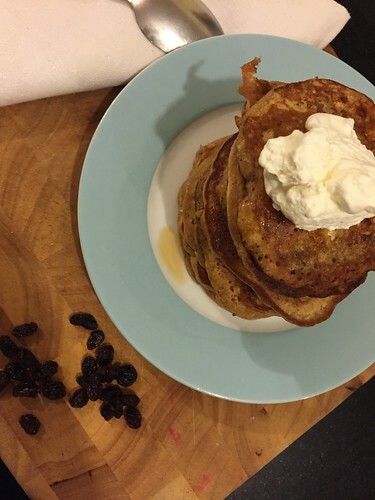 The combination of raisins and porridge oats gives these pancakes a really good texture. And although the mixture was a little lickey, it just meant I was only able to fit 2, not 3 into the pan to cook. 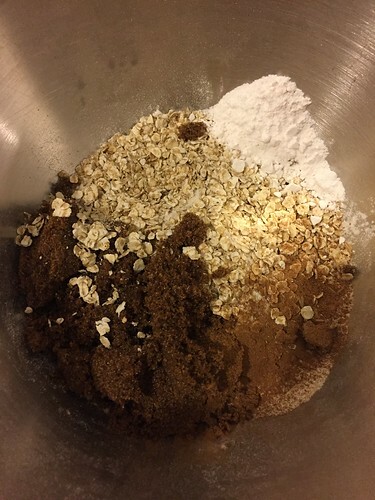 Ingredients 160g flour 50g porridge oats 1/2 tsp salt 2 teaspoon baking powder 3 tablespoons brown sugar 1 teaspoon cinnamon 1/2 teaspoon nutmeg 1 egg 280ml milk 1 tsp vanilla extract 50g raisins (plus more for garnish) Method: In a bowl add the flour, oats, salt, brown sugar, baking powder, brown sugar, cinnamon, and nutmeg, mix until well combined. Make a well in the dry ingredients, add the milk, egg and vanilla, stir until just combined. Add the raisins and stir. Heat a heavy pan over medium heat, coat with cooking spray. Drop about 1/4 cup of batter on the hot pan. Cook until dry on the edges and bubbles start to form in the centre. Flip and cook on the other side until cooked through, about 2 more minutes. The internet is a wonderful thing, and I’m very glad that I don’t put on weight from looking at food pictures. I’d have to stop fairly smartish if so. Pinterest- thou ist mine enemy. Obviously in the grand scheme of things, even for the good of my loyal followers I couldn’t possibly eat all of the above in the interest of testing. So I decided just to make a selection…. For your entertainment over the following number of days I plan on making some of the above, tomorrow’s will be the spicy oatmeal pancake. A small attempt at the healthier option before it all deteriorates into an abyss of chocolate and syrup.